Well, America has chosen it's 45th President - President Donald J. Trump ! 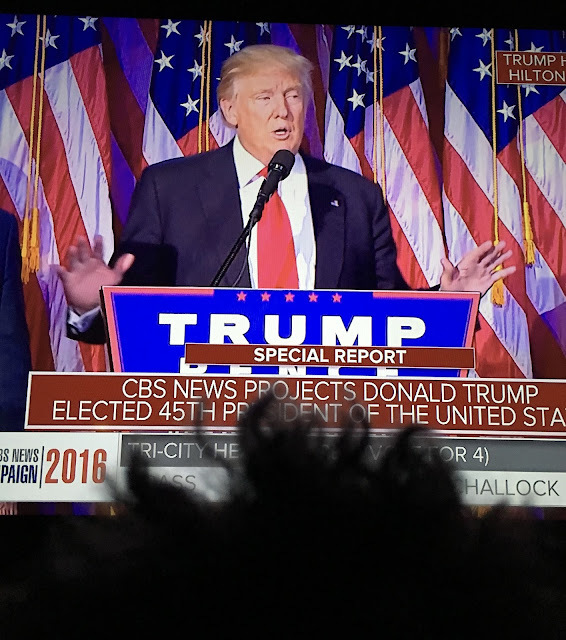 I stayed up late to watch history happen and listen to his victory speech. I know there are lots of people that didn't support him, but I believe we need to come together now and try to get behind our new Prez. It's sort of like when an adopted dog (like me) gets a new home (not one I chose) and have no idea what life will be like. In my case, it turned out absolutely fab. Congrats Mr. Trump. The only way to go is onward and upward with hope and happiness. Every day is a new beginning! Well said, Rosy! We all need to try and stay positive and spread the love, now more than ever. Exactly. No better time to create smiles around the US and the world! RosyPoodleKisses! Thanks! You are pretty fab yourself! RosyPoodleKisses!